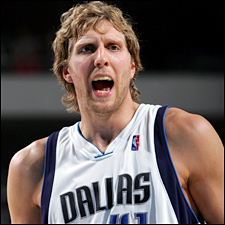 Previous PostIs Dirk Nowitzki a top 5 PF All-time? (Part 1)Next PostWas there a better option? Before i lose my train of thought, yes Dirk had a higher shooting percentage, but stats can be misleading. dirk may have had more touches and got D up and because of his inability to beat a decent forward off the dribble he shot less but had the same opportunities. Stats can be very misleading and interpreted differently that’s why I don’t trust writers that didn’t play the game. Now, base on your argument of Dirk having the better stats which makes him the better player, then Luc Longley, center for the Bulls during their dynasty is a top five center because he holds four rings and every mediocre player on that Bulls team that holds several rings is an all time great. That would put Dirk and his higher scoring average ahead of Tim Duncan. If Its all about the numbers then Allen Iverson is the greatest player every and not the second (lol.) because he killed every guard he matched up with. far out scoring Jordan, Kobe, and Nash and averaging more assists. When ever it is undecided on who is better than who, sometimes regardless of the era, you have to go with the FEAR FACTOR. Who would you fear to guard even if you were hobble. you being a writer I feel i can trust your opinion minus this bro-mance for Dirk because you play the game although not on their level. Of all the players you compare to Dirk, with Dirk in the mix where would you palce him when it comes down to players you would likely hate to have to guard and if you were 6’10 who would you like to see guarding you. You would fear the hell out of Zack Randolph and Malone, but would not hesitate to guard Dirk let alone he tried to guard you. You will laugh just like Larry Bird himself did and said about a white defender. I know you didnt look at it that way but I just had to end your Bro-mance with Dirk. I’m not even going to mention if Dirk and the Mav-chics was up 1 point with 17 seconds left in a game seven against Karl Malone in his prime has the ball coming off a dead ball with Kevin Garnett on the bench playing behind Dirk, since you think Dirk is better. As a coach would you leave dirk in to have to defend Malone or go with K.G. to defend Malone. This question puts your basketball creditability on the line.